Artists will endure almost anything for their professions. Writers will brave months of dreaming and researching and plotting and rewriting—and rewriting again. Painters will paint all day and late into the night--often on huge, expensive canvases. Dancers will practice for years, torturing their feet, and stretching beyond incomprehensible limits. Musicians will sit at the piano for hours every day, practicing one scale after the other—even when they would rather be hanging out with their friends. Metal sculptors will work through heat and ice to create gargantuan works of art whose heights are only surpassed by their expenses. Actors will audition, rehearse, memorize thousands of lines, and study the craft of acting throughout their entire careers. Photographers will study the art and technology of creating powerful images—and do it all in very expensive studios. Being an artist is demanding—no question. So what is it that draws people to the arts? What are their missions? What brings them joy? What challenges them? And what are their recommendations to young artists? These are the questions that we posed to seven professional artists. Photographer Richard Breshears begn his career as an enthusiastic and skillful amateur. Soon, his talent and passion transformed his burgeoning hobby into a booming profession. With 20 years of award-winning images to his credit, Richard is a Master of Photography and a Certified Professional Photographer. Painter Heidi Elkington hales from the Pacific Northwest and enjoys using paint to explore what it means to be human. Her work is often characterized by the liberal use of color and the themes of life and death. Musician Debi eng started her musical journey with piano lessons at age five. In 1994, she became a high school music educator. Add to that a host of professional gigs dating back to 1979 and continuing to this day. One could easily say that music is her life--24/7. Author Maureen McQuerry is a novelist, poet, and teacher. She taught middle school, high school, and college for twenty years and is a frequent presenter at schools and literary conferences. She has published three novels for young adults, and her poetry can be found in many literary journals. Sculptor Joseph Rastovich has been creating large steel sculptures since he was fourteen-years old. He has completed thirteen public sculptures and participates in many of the top art festivals in the Western United States. As a bonus, he is also a musician, dancer, and writer who strives to create space for others to express themselves. Actor Michael Thomas is an established stage actor with many leading roles to his credit, including Of Mice and Men, The 39 Steps, Same Time Next year, and Frost Nixon. He also provides voice over and acting services for both film projects and commercial industries. A native of the Tri-Cities, Washington, he is an active member of the regional theatre communities. 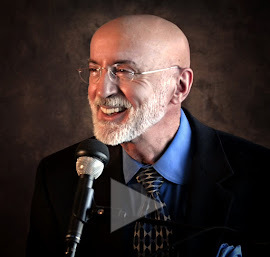 Allen Johnson is a full-time doctor of psychology and a part-time author, actor, painter, jazz vocalist and pianist, photographer, and videographer.